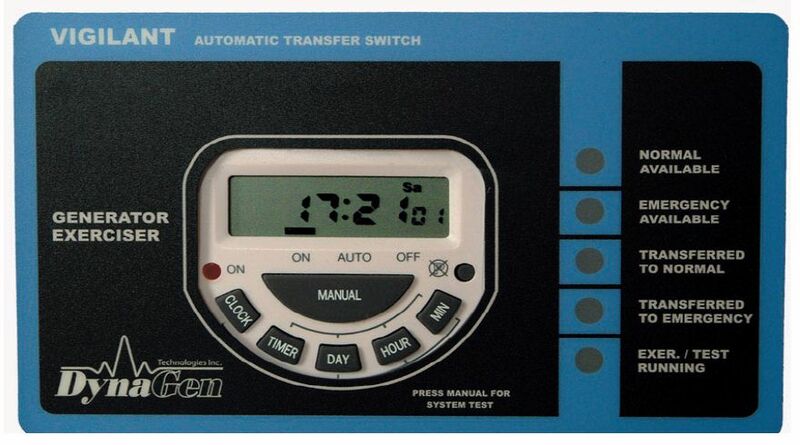 When you require a complete basic automatic transfer transfer switch, we have the solution. 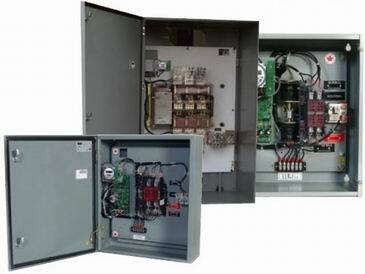 The Milbank Vigilant series is designed to UL 1008 and has all the necessary delay timers, voltage sensing, frequency sensing, and generator programmable exerciser clock. Made in USA . The Vigilant Transfer Switch System. provides automatic transfer of an electrical load to a standby power supply in the event of a drop or loss of voltage, on any or all phases of the normal supply. Upon restoration of normal power, the electrical load is automatically re-transferred to the normal power supply. All time delays are built in to the control of the switch and are factory pre-set to simplify installation and startup. Setting adjustments made using DIP switches and potentiometers on controller circuit board. Details contained in Installation & User Manual. Nominal Dimensions (H x W x D) 16" x 14" x 6"
1) The start time delay prevents nuisance generator starts during momentary utility power variations; transfer time delay allows generator set to stabilize before load is applied; retransfer delay prevents needless power interruption if return of utility power is momentary; stop delay allows gradual generator set cool down; undervoltage sensing of utility supply provides reliable starting of generator set during brownout conditions. 2) This switch is not service entrance rated. This generally means that you need a service entrance rated disconnect between this switch and your utility meter.